Fat Jimmy Amps | Taking the evolution of vintage circuits to the next level. Fat Jimmy Amplifiers are quickly becoming a staple in the professional music industry. Our deep roots in the legendary San Francisco Bay Area music scene are now spreading across the United States and other parts of the world! 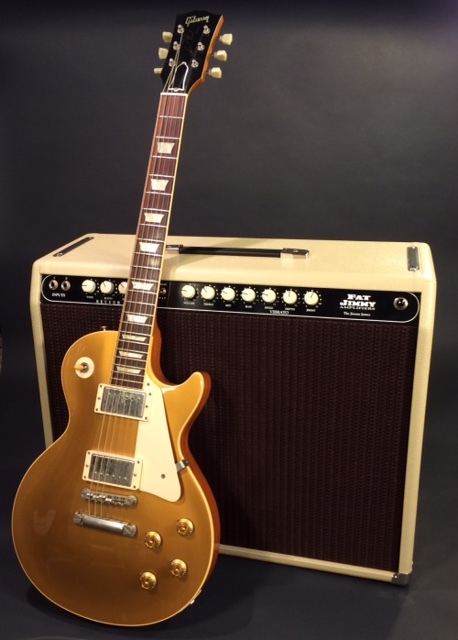 Fat Jimmy Amplifiers are designed to allow the seasoned musician to truly express their own music, their own style, and their own personality. Every guitar and every player have their own unique voice, their own unique sound. Fat Jimmy Amplifiers let that voice shine through. Mike Pascale founded Vintage Fender Amp Repair over 10 years ago. Fueled by the passion for playing vintage Fenders live on the road, his constant quest for better tone (along with the consequential need to keep his gear in working condition), he started delving into the inner workings of these mythical amplifiers to discover what really makes them tick. After servicing hundreds and hundreds of vintage Fender amps, dozens of those “holy grail” tweed, brown, and blackface tone monsters would come across the bench. When these magical “voodoo” amps would present themselves, he would seize the opportunity and analyze these circuits. He began to see the patterns – where the natural “drift” of specific parts was surprisingly consistent in these remarkable specimens. Mike began to intentionally incorporate this “drift” into his Fat Jimmy builds using hand selected and measured NOS components. While gaining years of experience intimately exploring the inner workings of vintage Fender classics, we didn’t want to simply add another Fender clone to the already over-saturated world of ’boutique’ Fender clones. We wanted to make something different. The result? Every Fat Jimmy amplifier sounds like that “holy grail/one in a million” vintage tone machine! Our ever growing roster of professional musicians and hobbyists alike all agree on one thing. The tone speaks for itself.